This gorgeous gentleman's flipper knife from Ronald Cotton Hewitt with its amazing action lockup & blade seating. 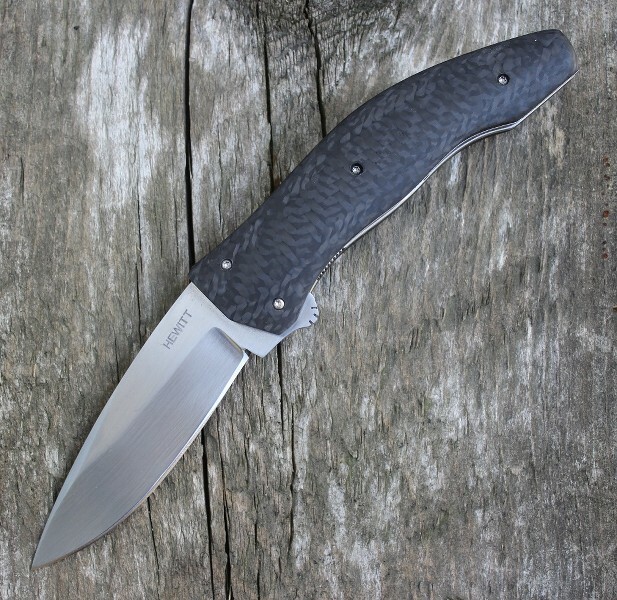 The knife features a hand rubbed satin finish CPM154 stainless steel blade. The titanium liner lock frame is outfitted with carbon fiber scales and hand satin titanium back spacer. Everyday carry is accommodated with the tip-up clip.